Glamping of Jackson Hole is an all-inclusive luxury camping destination and service in the Bridger-Teton National Forest, that features access to loads of trails, horseback riding, high-end tent lodging and more. 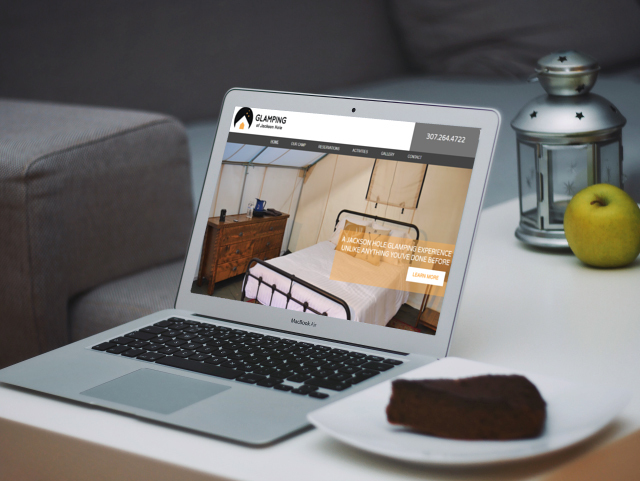 The owner was looking for a separate brand and website to distinguish their ‘glamping’ offerings from their guided hunting trip business. We were able to provide them with what they needed in a simple, yet great looking and highly functional site complete with logo and hero video.